The Office of Administrative Law Judges conducts rulemaking and adjudicatory hearings throughout the United States in proceedings subject to the Administrative Procedure Act. Approximately 50 statutes administered by agencies within the Department of Agriculture require APA hearings. The Judges issue initial decisions and orders in adjudicatory proceedings, approve of consent decisions entered into by parties, and decide appeals of debarments and suspensions. On January 11, 2019, Chief Administrative Law Judge Channing D. Strother issued the following order, which applies to all cases currently pending before OALJ: BLANKET ORDER EXTENDING FILING DEADLINES OCCURRING DURING FURLOUGH IN ALL CASES PENDING BEFORE USDA ADMINISTRATIVE LAW JUDGES. Following the end of the furlough, Chief Judge Strother issued a second order that applies to all cases currently pending before OALJ: BLANKET ORDER AMENDING TO FEBRUARY 11, 2019 FILING DEADLINES OCCURRING DURING THE FURLOUGH PERIOD IN ALL CASES PENDING BEFORE USDA ADMINISTRATIVE LAW JUDGES (filed January 29, 2019). OALJ posts decisions and orders in four categories. OALJ also posts Agriculture Decisions, the official publication of decisions and orders issued in adjudicatory proceedings for the Department under various statutes and regulations. The Hearing Clerk's Office is responsible for maintaing and archiving the formal record in cases brought before the Office of Administrative Law Judges (OALJ). 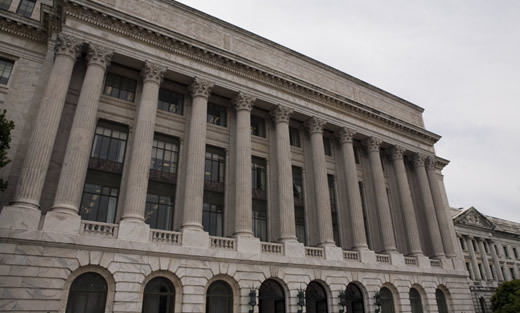 The Hearing Clerk's Office serves pleadings, submissions, and decisions and orders upon parties and certifies the formal record of proceedings to federal courts upon appeal.